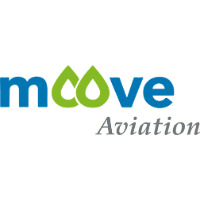 Moove Lubricants, the parent company behind Comma, has been appointed as an Authorised ExxonMobil Aviation Lubricants Distributor for Europe. Bruno Jannibelli, Moove Aviation spokesperson commented: "ExxonMobil's range of Aviation Jet Oils, Hydraulic oils and greases are world-leading – aircraft operators and MROs across Europe will now be able to receive a dedicated service level to match. We are delighted to have been appointed by ExxonMobil as an authorized Aviation Lubricants distributor." Moove Aviation expects to carry the largest single stock holding of ExxonMobil Aviation Lubricants in Europe with strategically located storage and logistics hubs operating from The UK, Spain and Turkey, capable of delivering to any European location in as little as 24 hours. A dedicated team of Aviation Lubricants specialists will be located across Europe, from Scandinavia to the Mediterranean. Jannibelli added: "The excellent delivery service level is only part of the Moove Aviation offer – our focus on Aviation Lubricants alone, gives us a unique position to help support aircraft operators, engineers and MROs tackle some of the toughest lubrication challenges our industry faces." ExxonMobil Aviation Lubricants have more than 100 years of research and Development pedigree built into them – having been used by none less than the Wright Brothers themselves, during their maiden flight in 1903! Today, Mobil Jet oils deliver performance to more than 11,000 engines (commercial, military and aircraft-type gas turbine); ExxonMobil's Aviation hydraulic fluids are fire-resistant phosphate esters, designed for commercial aircraft, providing power conveyance, heat transfer protection, and protection against wear and corrosion; ExxonMobil's complete line of multipurpose airframe and wheel bearing greases come with the aviation industry's longest shelf life - helping aircraft operators to minimize waste and reduce inventory carrying costs. Moove Lubricants operates extensively throughout South America, Europe and Asia representing Mobil lubricants in the automotive, industrial, marine and aviation sectors. For more information visit www.MooveAviation.com or email aviation@moovelub.com.